Een krachtig smartboard om samen te werken in de cloud. Verbeter vergaderingen en creativiteit in teams. A powerful smartboard for collaboration in the cloud. Revolutionise meetings and creativity in teams. Snelle, effectieve video meetings in de vergaderzaal met naadloze G Suite integratie. 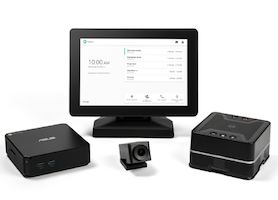 Fast, effective video meetings for the conference room with seamless G Suite integration. Manage alle apparaten via Chrome Devices, ontwikkeld voor veiligheid en snelheid. Manage all of your devices and information through Chrome Devices, designed for safety and speed.